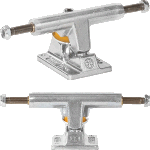 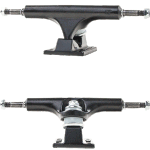 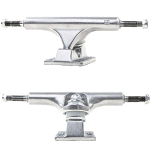 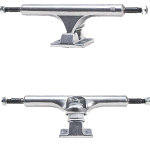 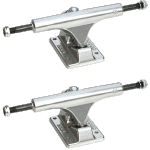 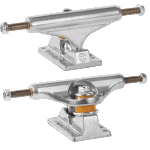 Basement Skate has the widest selection of high quality traditional kingpin skateboard trucks in Australia! 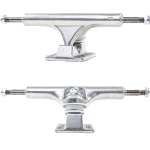 All the best brands like Independent, Thunder, Venture, Theeve, Ace, Tensor, Gullwing, Destructo, Paris, Bear, Silver, Slant and Caliber. 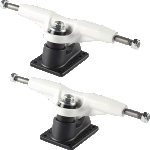 With trucks to suit 7" to 10"+ boards, we have the perfect running gear to get to grinding, flipping and boosting your way to freedom. 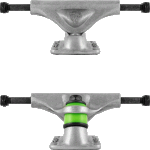 Looking for something supremely strong and light? 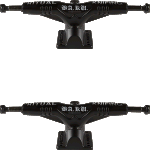 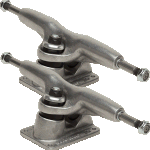 Check out our range of tough Titanium trucks! 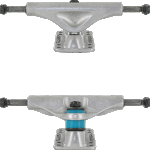 Get a loftier ollie with super light hollow hangers and shred till the cows come home on feather weight, Incredable Hulk Grade forged baseplates.